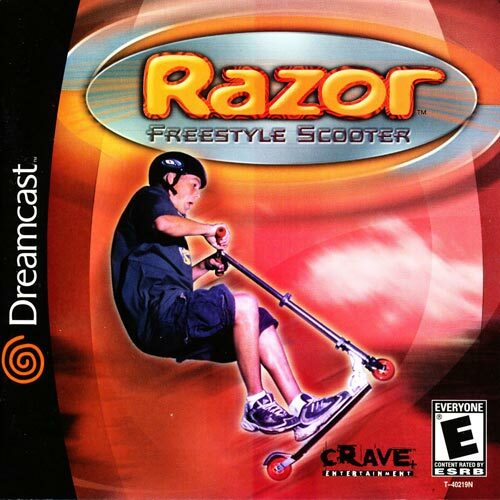 Razor Freestyle Scooter for Sega Dreamcast has it up to you to free your friends by meeting the robot's park challenges. 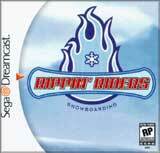 You must scoot through the park, performing tricks and collecting all the scooter wheels you find scattered around. 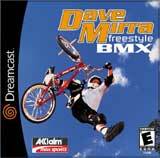 With controls and gameplay similar to Tony Hawk's Pro Skater, Razor Freestyle Scooter challenges you to perform appropriate scooter tricks and combos. Play for combo and time bonuses, and to unlock additional levels and bonus rounds, but not before you've customized your scooter with colored wheels. For 1-2 Players.